Do you ever wonder how it seems certain moms seem to be able to get it all done, but do they really? How do they stay fit, cook, work and do other things? This episode will inspire you on how a mom of 4 gets stuff done and here is the secret, you have to say “no” to certain things! You can do anything but not everything. 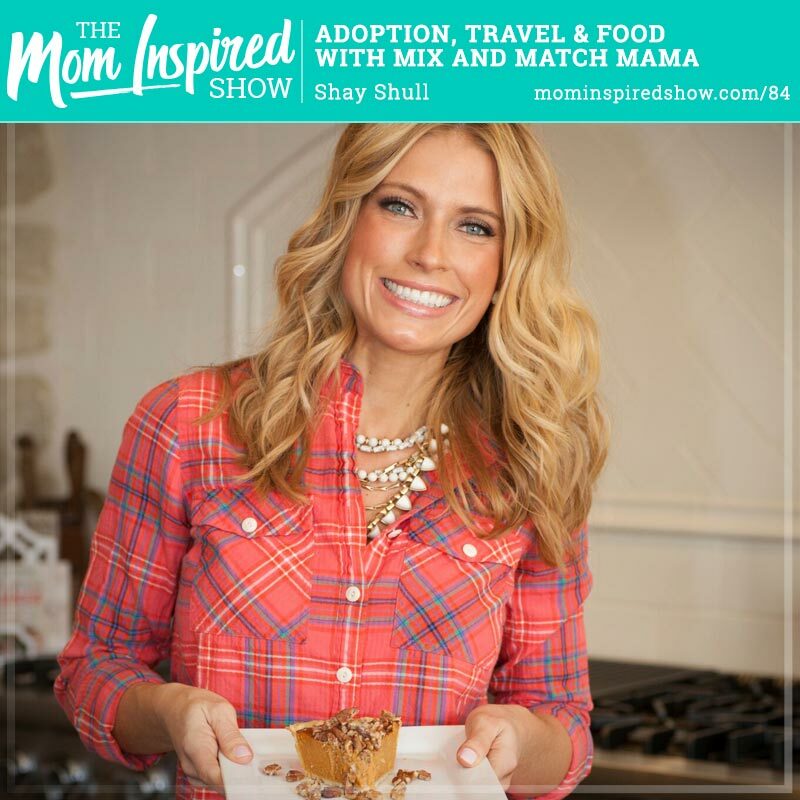 Today Shay Shull of Mix and Match Mama joins us on the Mom Inspired Show. We talk about her infertility journey and how she decided to adopt from China. She shares with us how there are 150 million orphans worldwide and 40 million of them are in China and mainly girls! If you are thinking of adoption this will be encouraging even if you are doing domestic or international. She shares her passion and tips for traveling and how she is able to travel with 4 kids! We chat about jet lag and how to overcome that esp. with kids. We talk about that traveling can sometimes be challenging but its also so much fun. So if you have been nervous to travel with kids esp. overseas this will be such a great episode to inspire you to take your kids over the ocean and experience new cultures. Shay tells us about her new slow cooker cookbook. Why she feels its so great to be able to throw everything in the crockpot at 8am and have dinner done by the time everyone gets home from school and work. Did you know that Bermuda is only a 2 hour or less flight from New York?